A Cook County grand jury indicted “Empire” actor Jussie Smollett on 16 felony counts of disorderly conduct after he allegedly filed a false police report stating he was a victim of a racist and homophobic attack. The Cook County State’s Attorney’s Office confirmed the indictment, which they stated was handed down by a grand jury on March 7th, according to ABC7Chicago. A conviction on any count could lead to a sentence of a maximum of three years in prison. The TV actor claimed that he was a victim of a violent hate crime in the Streeterville neighborhood of Chicago on Jan. 29. 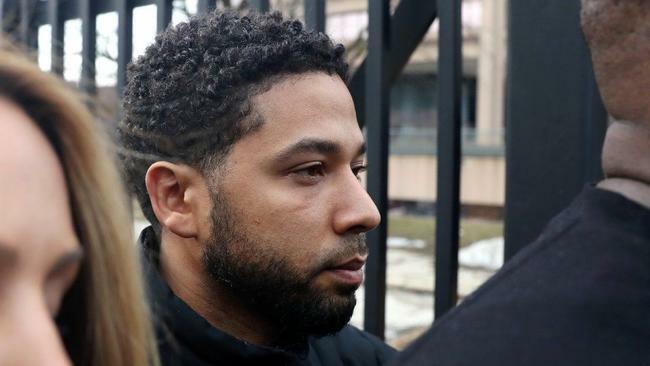 The multiple counts stem from various aspects of Smollett’s allegedly fabricated story of events, where he claimed that two men attacked and beat him, poured a chemical substance on him, and tied a rope around his neck. During a second interview with Chicago police, Smollett also claimed the two men uttered racist and homophobic slurs during the incident and also claimed one of them men was white. The indictment comes a little over two weeks after prosecutors charged Smollett with a single felony count of disorderly conduct, which he pled not guilty to. He was released on $100,000 bond. Smollett’s attorney calls the new charges overkill. “This redundant and vindictive indictment is nothing more than a desperate attempt to make headlines,” said Mark Geragos. Smollett is scheduled to appear in court on Thursday so a judge can be assigned to preside over his case and so he can enter his plea to the 16 counts. Smollett, who is African-American and openly gay, is accused of staging a fake attack on himself and filing a false report to police stating he was a victim of a hate crime. After releasing surveillance footage of the alleged attackers, Chicago police later discovered that Smollett knew the two men, who turned out brothers. One was his personal trainer and the other had been an extra on “Empire” in previous seasons. Prosecutors say Smollett paid the brothers to pull off the staged attack after being dissatisfied with his current salary on the program. Alexander Best is an upcoming writer who currently resides in Towson, Maryland. He currently interns for TheDMVDaily as a journalist.